The annual anniversary of “Oxi Day” was celebrated ,as every year,at the Danforth.The “Oxi day” marks the start of the greek-italian war when the prime minister of Greece at the time,Ioannis Metaxas, said no to opening the greek boarders in order for the Italian army to occupy the country.Since then, the 28th of October is a national celebration.The Greek Community of Toronto organizes a parade each year to celebrate the heroic response, and commemorate those who fought. 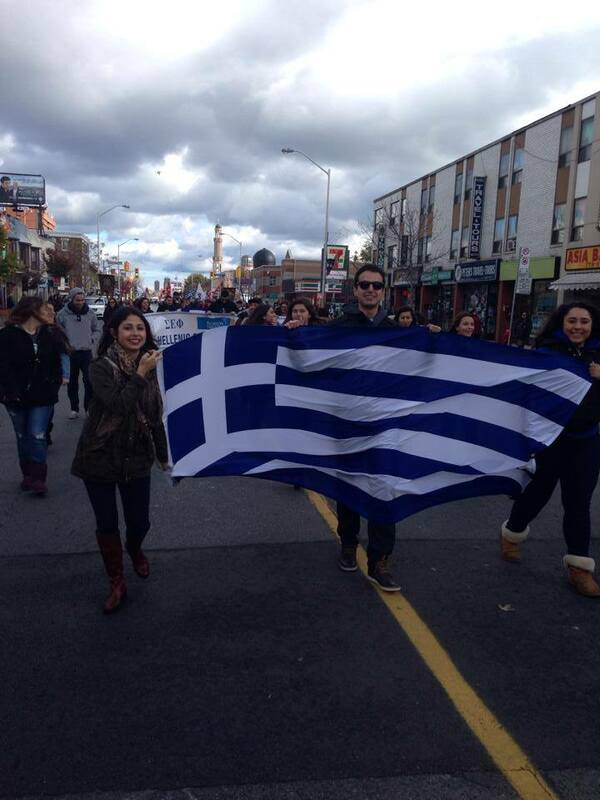 The Greek Students’ Association at the University of Toronto ,York University and Ryerson University attended the parade with groups of students and marched with pride with the rest of the Greek Community.All together they paid their respects to the people that fought during the war and helped Greece to be an independent country and preserve its values and national identity. 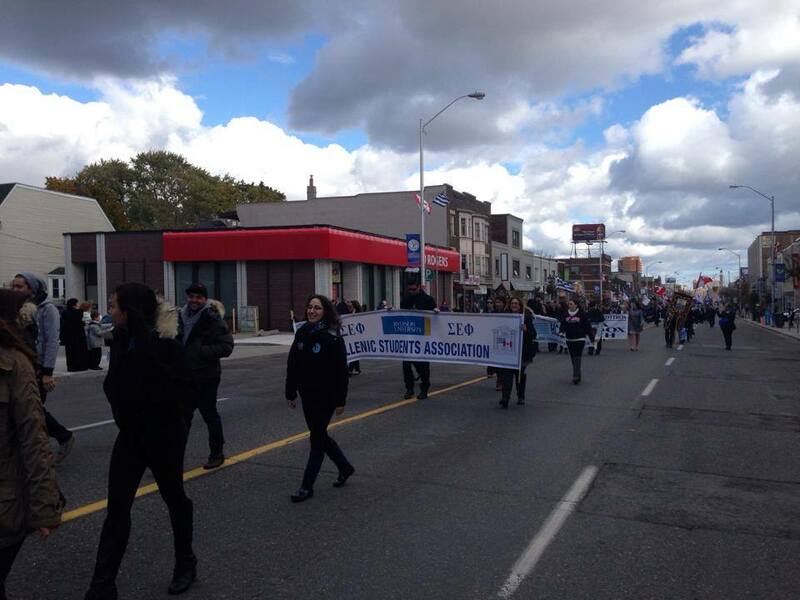 After the parade was over, everyone met their families and spread all over the Danforth to have a traditional greek lunch.The GSA,finished their day by having lunch at the restaurant “Astoria” with the rest of their friends and families.